The royal penguin’s diet is made up of mainly fish. However, the Google Penguin penalty eats fishy links. The much-talked-about Penguin penalty has changed the world of link-building and digital PR as we know it. This is something you now need to take as seriously as your on-page SEO tactics. Did the Penguin Penalty take a bite out of your website? Let’s take a look at how to recover. What Exactly is the Penguin Penalty? The Penguin Update was Google’s answer to responding to spammy and shady link-building practices like link farms. A lot of businesses were buying links on these sites, that were no more than link depositories. It would give a search engine optimization boost to the business, but hold absolutely no value to the searcher. So the Penguin was dispatched to seek out and destroy spamming links that don’t get a searcher any closer to what they’re looking for. What is a Spammy Link? The Google Penguin’s natural enemy is the exact match keyword, and exact match anchor text, on an irrelevant site. Let’s say you’re a real estate agent. For you, a spammy link would be the anchor text “best realtor San Diego,” on the website that has absolutely nothing to do with homes or real estate. This means today there is absolutely no focus on the quantity of links you have a linking back to your site. It is 100% about quality. The businesses that were using these shady link-building practices saw their ranking drop for important keywords, almost overnight. Meanwhile, the people doing the right things all along skyrocketed up the rankings. If you were in the first category, the good news is the penguin update is part of Google score algorithm. This means it works in real time and any changes you make for the better will impact your ranking almost right away. The bad news is the more you invested in these spammy link building practices, the more damage control you have to do. Every one of these links is hurting you as we speak. Depending on how many bad links you have out there, you might want to consider hiring an SEO or link building agency to take care of this for you. Because there is a bit of work involved. The first thing you need to do is audit all of your links. You need to decide what is organic and relevant, versus what is spammy and likely holding you back. Once you have filled a spreadsheet with your undesirable links, it’s time to get rid of them. You need to reach out to the administrators of these websites, and tell them to take these links down as soon as possible. The key challenge here is that a lot of these link farms are fly-by-night operations, and you might not be able to get in touch with the people who could help you. If that’s the case, you will want to “nofollow” all of these links ASAP. It has never been easier to do your own link building. But it’s never been harder to do it the right way. It’s hard to predict exactly what Google updates are on the horizon, but we can tell you that these updates will always favor the people who are doing the work and refuse to cut corners or cheat. This means earning good links, not buying them. What is a Good Link and How Do I Get One? Again, you might want to reach out to an SEO or digital PR agency to handle this for you. Because the link building playbook in 2018 requires quite a bit of work. Here is where you and your agency need to focus. Let’s use the example of a realtor again. A really great opportunity for you would be to write a guest post for a lifestyle magazine about whether or not you need home staging. That’s a relevant fit and the type of good organic traffic that Google now rewards. Of course, you want to make sure that the site that you’re doing this with has a fairly clean reputation and good SCO score of their own. This will often start with things like press releases, and media outreach campaigns. Anytime you can get your business or offerings written about or blogged about in respectable media websites, this is a big win. Google gives a lot of clout to these websites. Again, this good and organic traffic on a relevant site. This is pretty similar to media coverage. In this case, you are likely targeting a single individual instead of an entire media outlet. This will be somebody who has clout in your industry. Maybe they’re a blogger or video blogger. You need to tactfully reach out to them to get them to write about you. A lot of the time this would take the form of something like a product review. Again, one more time, this is relevant and organic traffic. And you’re basically piggybacking off of the success of their web traffic. The benefits can be absolutely massive, as influencer marketing has a 10x higher return on investment than any other form of digital marketing. 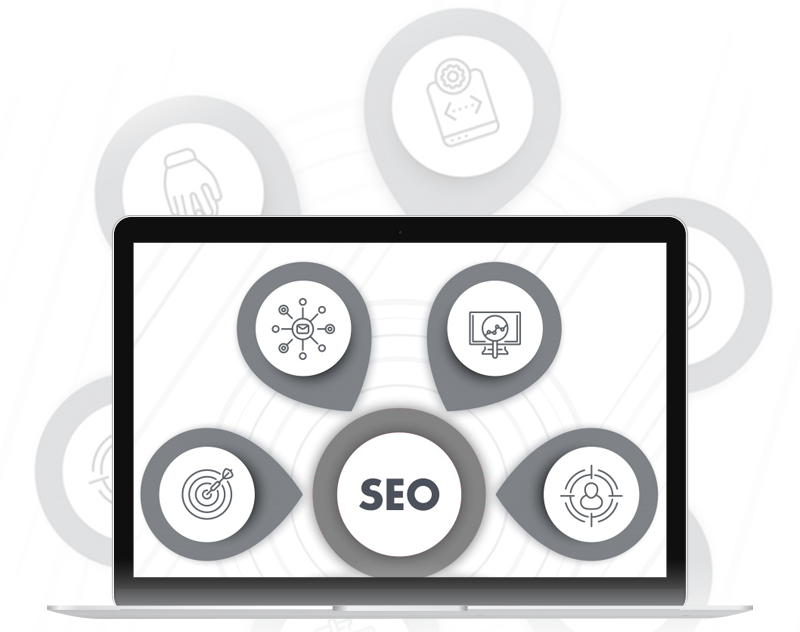 We can start by reviewing your web properties using on-page SEO software. We then optimize your existing content. Next, we promote your site on large-scale editorial sites like USA Today, INC, Forbes and handful of other partner websites. Ready to begin? You can click here to get started.